Tom Miskell is a Non Executive Director of Integer Advisory, with over 20 years of experience in the social housing sector. Tom initially worked for the Housing Corporation in both a regulatory and investment role. After a secondment as Assistant Director of Housing at Derby City Council Tom joined a newly formed stock transfer organisation (Hambleton) as Director of Central Services. Tom then joined Chapman Hendy Associates, where he worked for 6 years leading a team which delivered over 25 voluntary stock transfers and a range of work on structures and mergers with clients. Tom subsequently joined Pennine Housing 2000 as Deputy Chief Executive becoming Chief Executive in 2005. 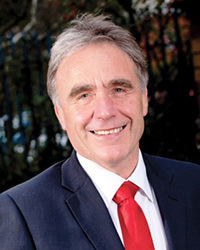 He led the formation of Transpennine Housing Group and subsequently the merger of three Housing Groups to form the 35,000 unit Together Housing Groupwhere he was Chief Executive from 2011 until May this year. Tom also has Board experience. He was a Board Director of Calico for 9 years (the last 2 as Chair) and is currently a Board Director of Johnnie Johnson Housing Trust.